If Barnes & Noble’s Nook is your tablet of choice for reading, playing games, and so on then you might be happy to know that the company will be releasing the new Nook Tablet 7” for Black Friday. The tablet runs on Android, allows users to get apps from Google Play, and will use Nook’s marketplace software for picking up audio books, comics, video, novels, and publications. Basically anything you could pick up on a mobile device. As for physical features, the 7-inch tablet comes with 8GB of space and will allow up to 128GB via microSD—which is normal for tablets towards the lower end. 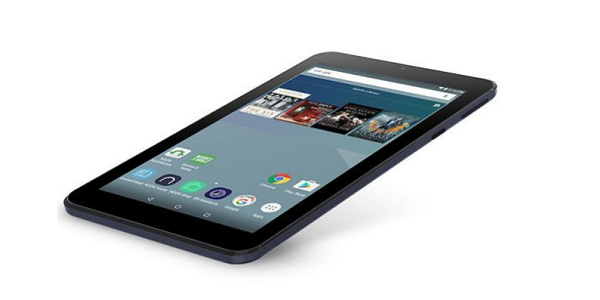 The Nook Tablet 7” comes with a battery capable of seven hours of battery life and front and rear cameras. Coming with a $49.99 price tag, the Nook Tablet 7” marks Barnes & Noble’s attempt to get back into the tablet game with its own offering instead of “Nook” being a brand tacked on the end of other tablets. Tags: Barnes & Noble, Black Friday, editorspicks, Nook Tablet 7"